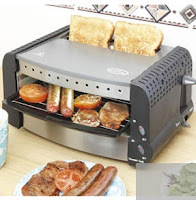 This powerful 700W grill heats up fast and uses far less power than an ordinary oven, plus there are heating elements above and below your food so it can cook incredibly quickly. 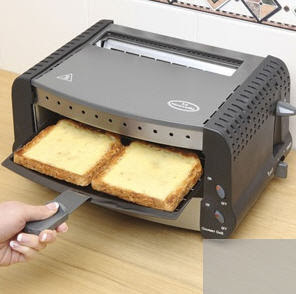 Use it for grilling bacon, chops or fish, toasting sandwiches, heating pizza or browning cooked dishes – you can make toast at the same time! A compact 16H x 26W x 23D cm with a dishwasher safe tray and grill pan, it’s attractive in stainless steel.